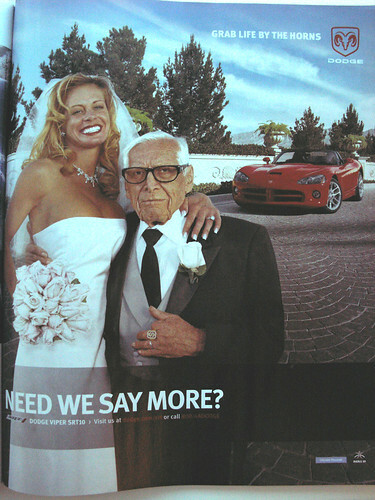 I found this advert for the new Dodge Viper in the latest edition of Wired magazine. Need I say more? Update: The French auto blog, fittingly namned Le Blog Auto, discusses the ad further. Mon Dieu!